Sparrows Group has secured a three-year contract to deliver fixed crane maintenance and lifting and rigging services for the Inpex-operated Ichthys liquefied natural gas (LNG) project in Australia. The scope of work includes maintenance, servicing and inspection of lifting equipment and cranes, the supply of lifting equipment, spare parts and materials; and technical and engineering support. Located approximately 220km offshore Western Australia, the Ichthys Field represents the largest discovery of hydrocarbon liquids in Australia in more than 40 years. The Ichthys LNG Project is currently in construction and is ranked among the most significant oil and gas projects in the world. Ichthys is expected to produce 8.9 million tonne of LNG and 1.6 million tonne of LPG per annum, in addition to more than 100,000 b/d of condensate at peak. 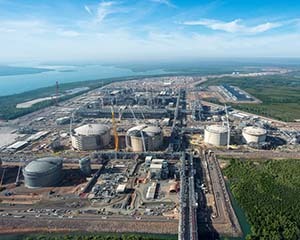 The agreement is the latest in a series of significant business wins for Sparrows and will see the company’s teams in Perth and Darwin, Australia, support activities across the state of the art Ichthys onshore LNG facility at Bladin Point, the offshore central processing facility Ichthys Explorer and the Ichthys Venturer FPSO. Image of Ichthys, from Sparrows.